A few years ago, I was gifted a Slip Silk Sleepmask that came along with a claim that it would be the best eye mask I ever used. 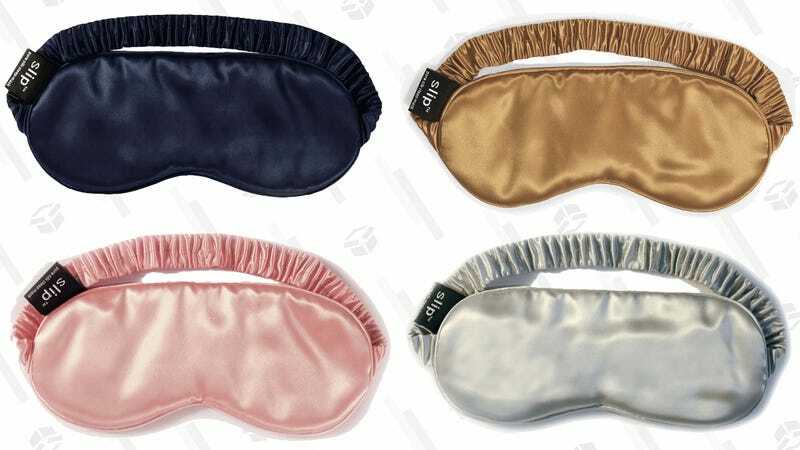 I glanced at the price tag - $50 - and rolled my eyes, thinking haughtily, “Who spends this much on an eye mask?” It was beautiful, sure, and felt lovely, but it just seemed too extravagant for such a simple product. .
A few weeks later, though, I found myself on a quest to improve my sleep, which was basically awful. One of the main issues is that I didn’t like to sleep in a pitch black bedroom, preferring a night light or the soothing blue light from my television to give my room a glow if I woke up in the middle of the night. But at the same time, I felt like maybe that light was actually making things worse. Sleeping in a new bedroom on the first floor of my new home wasn’t helping, as I found that passing headlights in the night woke up me up as well. I remembered the silk eye mask I had stashed in a drawer somewhere, and decided it would be worth testing it out. One night before bed, I slipped it on over my eyes, felt a pleasantly smooth, cool surface against my face, and settled in to bed, feeling a little bit like Blair Waldorf sleeping in her Upper East Side penthouse. The eye mask did what I wanted it to: it kept external light away from my eyes, but I could still keep a night light on and peek out of the mask whenever I needed. I actually felt rested in the morning, not to mention quite glamorous, and I knew I would continue to use it. Research has consistently shown that external light - especially blue light - can have a negative impact on our sleep. According to the National Sleep Foundation, the internal clock in our hypothalamus regulates our sleep (among other things), and thinks of light as an indicator that it’s time to wake up. When your eye detects sunlight, a message is sent to your brain that in turn lowers melatonin levels and increases your body temperature, making you feel more alert and less sleepy. That can be triggered by actual sunlight (I would wake up most mornings when the sun rose, and it was a struggle to go back to sleep) or even artificial light (if my husband left his lamp on, sleep would become instantly more difficult for me). And blue light is even worse. Harvard Medical School says that, at night, exposure to blue light can suppress the secretion of melatonin in a very powerful way, making it harder for us to fall asleep and get a good night’s rest. In one experiment, Harvard researchers found that exposure to blue light suppressed melatonin for about twice as long as exposure to green light. In other words, my habit of falling asleep with the television on was basically destroying my chances of getting a great night’s rest. All of that is to say that eye masks really do help you sleep better, because they mimic total darkness, erasing exposure to outside light (natural or blue) and helping your body produce the melatonin it needs to feel sufficiently sleepy. So I wasn’t imagining it: my silk eye mask really did get the job done. I started wearing it every single night. Fast forward a few years later, and I literally cannot sleep without one. 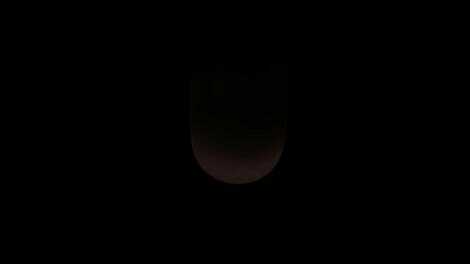 In fact, I can no longer tolerate any light during the night. After a few months of using the eye mask, I found that I didn’t want the television on anymore, and I didn’t need a nightlight. I started bringing it on airplanes when I traveled. It was basically my sleep lifeline. So, what makes the Slip eye mask different from others? I’ve found, personally, that it’s the most comfortable one out there (and I have tried a lot of others) for a number of reasons. For one, I love the size. Some eye masks are so small that they allow light in, but this one covers up everything and more, making it nearly impossible for slivers of light to creep into my eyes. I also feel that this one fits my head perfectly. I’ve heard complaints that it doesn’t adjust, and can slip off too easily, but for me, it’s never been a problem (maybe I have a big head?). I’ve found some eye masks to be too tight, but this one never feels like it’s putting pressure on my head. I also love the feel of the Slip’s silk cover, which looks luxurious, and feels very gentle on sensitive skin. They’re easy to wash when they get dirty, and I have pairs I’ve used for more than a year that have not stretched out or gotten too old. Lastly, I love them for aesthetics reasons - they come in fun patterns and pretty colors, and they look nice. But overall, I would never spend $50 on an eye mask that just looked good - only on one that actually helps me sleep. And this one definitely, definitely does. Jessica is a writer from New York. She has an unhealthy obsession with the beach, cats, Leonardo DiCaprio, & over-priced coffee. You can follow her on Instagram @jboothyy.